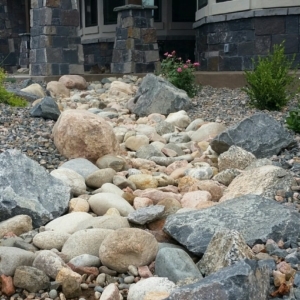 Landscape drainage is not something most homeowners think of when re-envisioning their yard, but it is a critical component of any successful landscaping project. 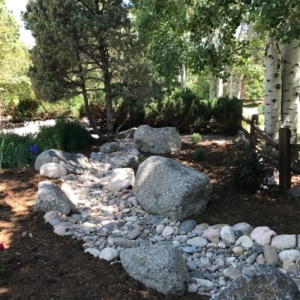 While Colorado enjoys beautiful blue skies and hundreds of days of sunshine each year, don’t be fooled that your landscape will thrive. Clay soils, waterlogged areas, sloping grounds, and compacted earth can prove a challenge to growing plants and trees. 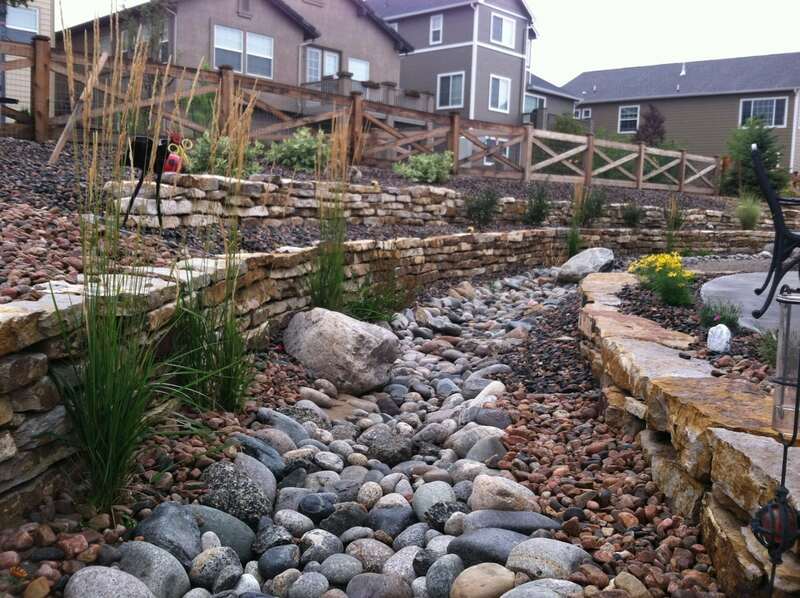 Colorado cycles through extreme moisture and drought conditions during any given year & Jake’s Designs understands the unique landscape drainage and irrigation issues in the Colorado Springs area. 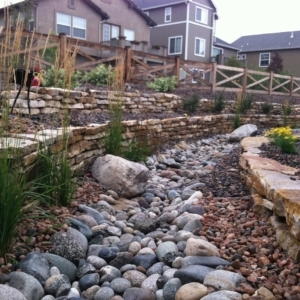 It’s essential to examine each aspect of your garden to solve landscape drainage challenges. 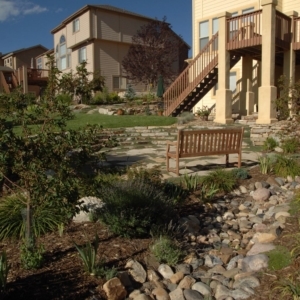 Many homes in the Colorado Springs area, particularly new construction, are built on soils that expand when wet and contract when dry, making it a risk for foundations. 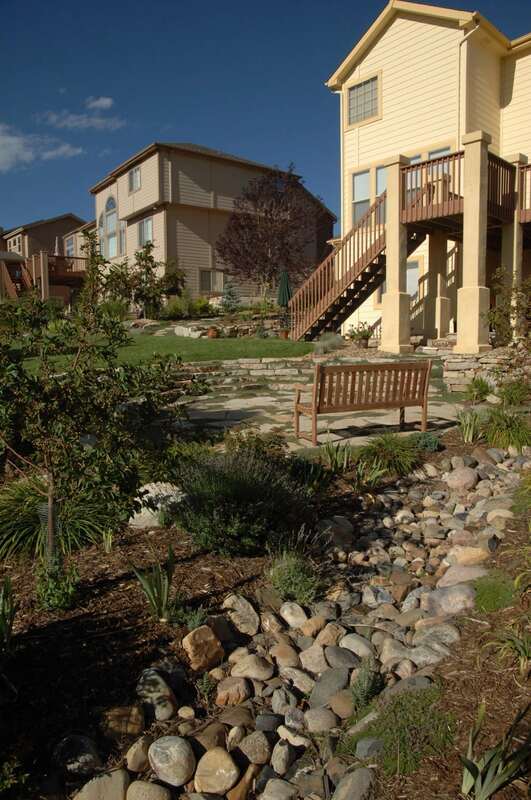 Even more homes are built on Colorado compacted clay soils that stop drainage, and are a poor environment for plants and trees. Smart landscaping, and expert drainage and irrigation solutions are a must if you want your landscapes to handle the deluge and survive dry seasons. 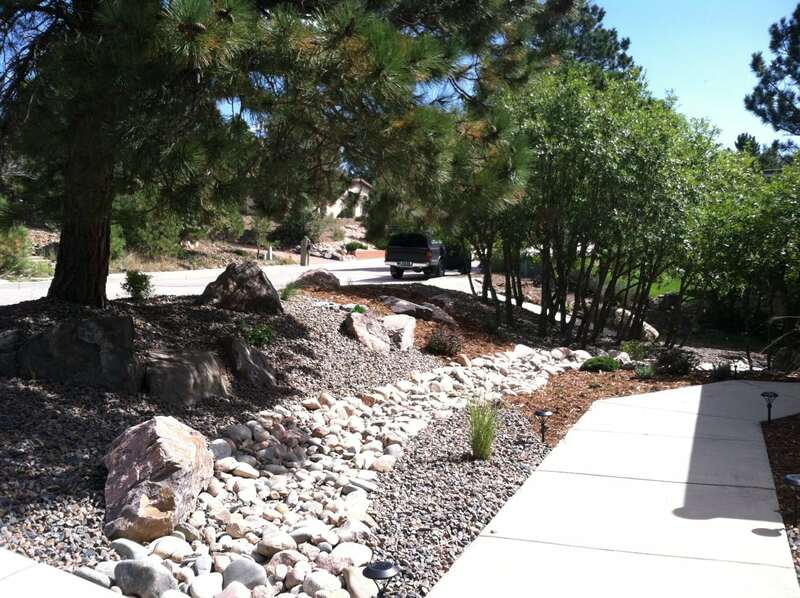 Jake’s Designs understand the dynamics of landscape drainage! 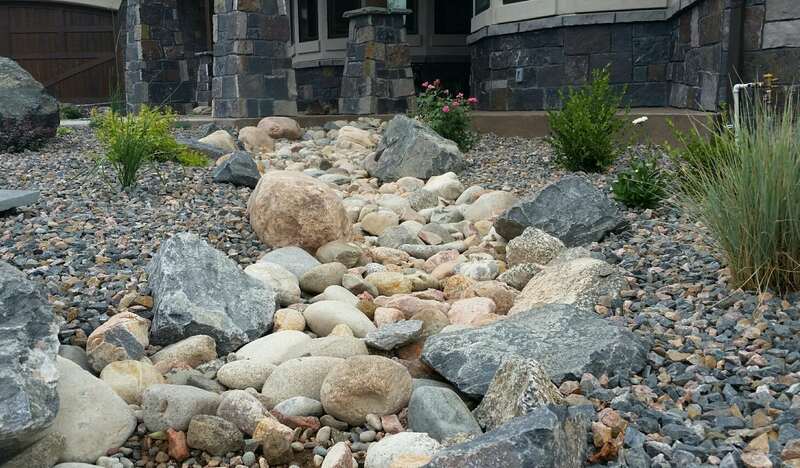 Our team can analyze your property drainage issues, create landscape design plans to address problems, and install landscape drainage solutions that are attractive and provide results. 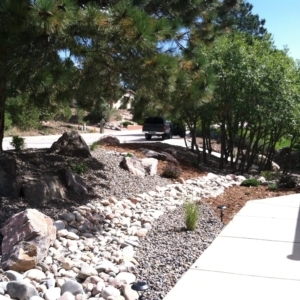 If you think your options for landscape drainage problems are limited or unattractive, think again! We understand how to blend in drainage, grading, and irrigation solutions that beautify your landscape and protect your property. 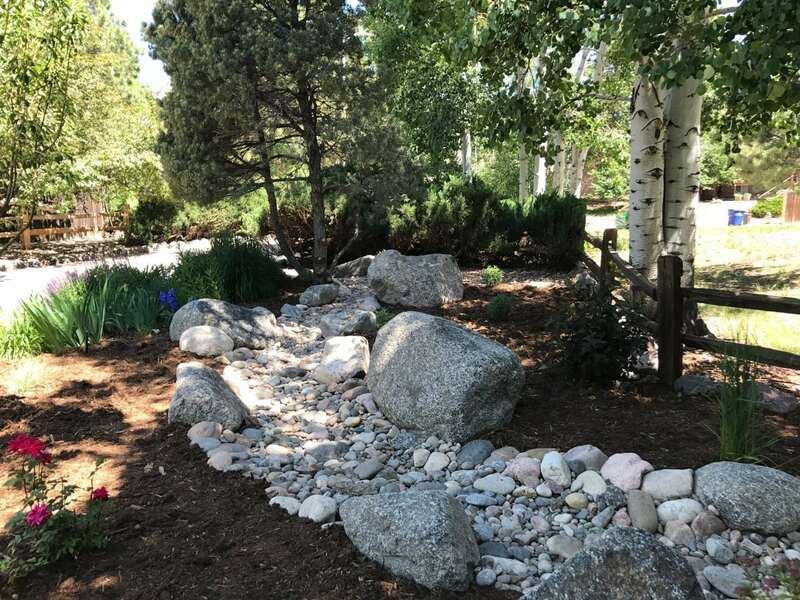 Our expert design and construction crew have devised attractive options for properties throughout Colorado Springs, even utilizing and recycling water for use in the garden!